My Sister’s Closet has a fun vibe. As a Professional Organizer I help my clients to go through their closets on a regular basis. Some donate to their favorite charity immediately. 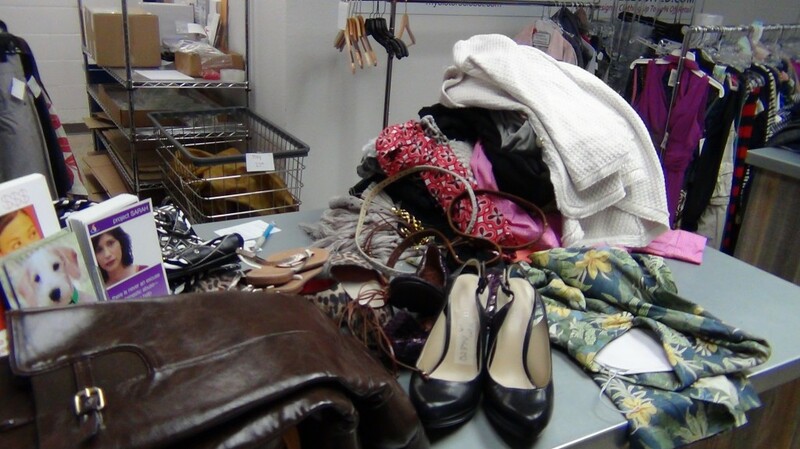 For others, finding a good consignment store is their preference. Knowing they will sell those ill-fitting, or “what was I thinking?”clothes and accessories helps inspire them to get rid of things clogging up their valuable space. Items need to be high quality, designer brands preferred, show very little wear and be cleaned. 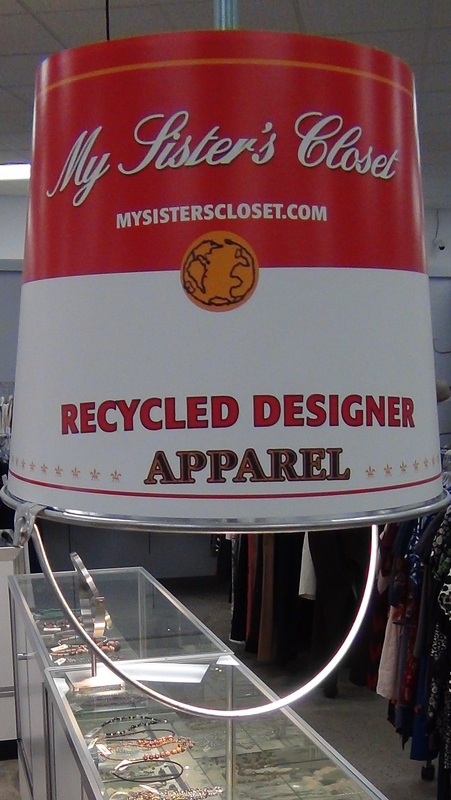 If you would like to make a little money rather than donating your used clothes, it’s a great option. Whatever doesn’t sell is donated to charity by My Sister’s Closet unless you make other arrangements. View of the back room. Imagine, from this jumbled mess to beautifully organized racks and vignettes. My Sister’s Closet is very pleasant to visit. A nice feature about My Sister’s Closet is the store is bright and open. It’s a joy walking around in there and when you bring your clothes, there’s no appointment needed. So, if you’ve been driving around with your consignment clothes in your trunk for a week, and find you have an extra 20 minutes, go for it! They also have a website where you can click into your account to see your balance. Easy to drop by and pick up your check without an appointment. Or, you can apply the credit to purchasing other great buys! But, remember, you cleared out your closet so when you buy one; sell or give away two. That way you’ll never suffer strangled closet syndrome. The women who work there are experts in fashion and merchandising. Thus, they went through these items shown above super fast and were (this is important) very kind when they reject anything. Quick Tip: Remember, do not cut the tags out of your clothes if you ever want to consign them!